President Chopp welcomes the Class of 2014 at the start of a year that will begin to shape the College’s future. On Oct. 2, the Board of Managers affirmed the launch of a strategic planning process for the College. This endeavor will bring our community together to discuss Swarthmore’s future in order to extend our proud tradition of providing students with an education that is distinguished in its academic rigor and supported by a robust and richly diverse residential experience. This new planning effort follows naturally from our work during the last several years. 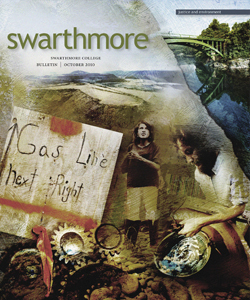 In 2007–2008, the “Swarthmore 2020” planning process examined our existing resources and aspirations and Swarthmore’s leadership role in higher education. Then, in response to the Great Recession, the Ad Hoc Financial Planning Group led a communitywide effort that highlighted the need to look anew at the underlying financial model supporting the liberal arts education we provide. During this same period, I talked with and listened to faculty, staff, and student groups and conducted an extensive listening tour among our alumni. All of these important conversations will inform and guide the work we are beginning. Today, we are positioned to chart a future that takes into account the societal trends most likely to influence the direction of higher education. These trends include the forces that daily increase the interconnectedness of nations and communities—the unprecedented pace of technological change; imaginative, new ways of creating knowledge and of teaching and learning; the threats and challenges we confront as we aim to make environmentally sustainable decisions; and a world that is rapidly altering, expanding, or even eliminating the disciplinary boundaries of knowledge formation. These broad themes—globalization; technology; changes in knowledge, teaching, and learning; and sustainability—will be among the first topics we consider together. Our aim is to understand and anticipate as best we can their profound influence on the future of higher education and on Swarthmore. This month, we are initiating this important series of conversations with students, staff, and faculty members. A panel discussion with students will explore Swarthmore’s key values, opportunities, and challenges and invite students to share their sense of the priorities that should be given to these elements in our planning efforts. An all-staff meeting will focus again on values, opportunities, and challenges—as well as the critical role that staff members play in supporting our educational mission. And the College’s academic leaders will lead a panel discussion for faculty members on our preliminary thoughts about the College, higher education, and the future. In addition to these campus conversations, we will continue to tap into the wisdom of alumni around the nation and the world. Members of the Alumni Council will reach out to fellow alumni in small groups to gather their insight and ideas, and many local Swarthmore Connection leaders will host discussions for the same purpose. And we hope that all interested alumni will join in the online conversation that will be a vital part of this process. The Board’s action this weekend was in response to the white paper “Recommendations for Planning for the Future of Swarthmore,” which was prepared by a task force made up of key managers and my senior staff. This white paper contains suggestions of readings that are pertinent to planning. It and other materials are available to you on the strategic planning website. As we proceed, this site will offer updated information and provide a virtual “place” to continue conversations that may have started elsewhere. You will also find brief, imaginative pieces called “histories of the future,” and we encourage you to share your own vision of Swarthmore in 20 years. In addition, the site has lists of committee members; charges to the working groups that will make up the four areas of focus; meeting times and places; and numerous ways to contribute to this work. Throughout the process, we hope you will make full use of this interactive site. We will also invite you to participate in a variety of forums as they are scheduled. 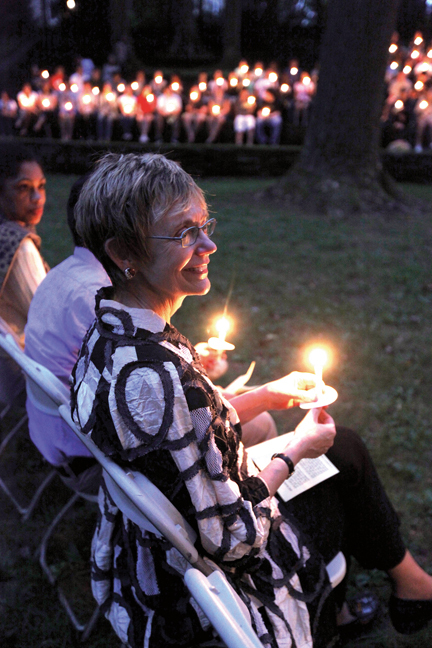 Swarthmore has always been an innovator in liberal arts education, and, with this proud history in mind, our work will continue to be guided by a deep commitment to the Quaker heritage and values that have defined our mission and traditions. At the same time, we must willingly embrace bold thinking as we encounter the inevitable need to make difficult choices among competing options. I know that it is our shared aspiration to provide an outstanding academic and residential environment in which Swarthmore students can gain the knowledge, insight, skills, and experience to become leaders in their fields, capable of advancing the common good around the world. Thank you for your attention to this letter and for the future role you will play in our planning process. I look forward to working with you.